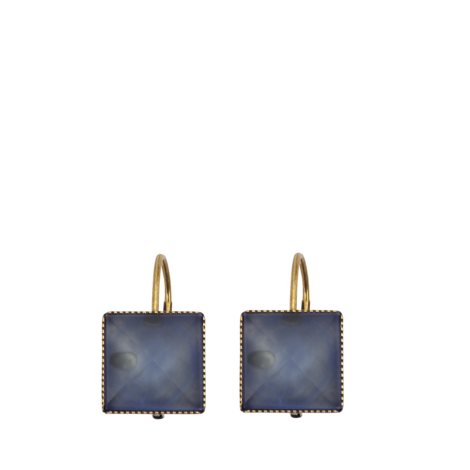 Whoops - look what I've just purchased online, in an impulsive "I'm not sticking to the budget" moment - these lovely earrings, by fashion heroine Isabel Marant. I ordered them from a website called Monnier Freres, which I'd never heard of before, but is defo worth a look, as there's some tempting baubles on there. I have admired Isabel Marant's clothes and accessories for a long time, and didn't realised that she did jewellery, and also that it was so affordable. These earrings are just up my street, and I will now own my own little piece of Isabel Marant magic. They also do them in bronze. C'est chic, n'est ce pas? I wonder if you might like to give these away in some kind of blog competition, just a thought.